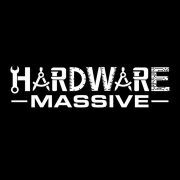 Hardware Massive is a global community for entrepreneurs in the hardware startup ecosystem. Our mission is to empower hardware startups to succeed through networking, education, and access to resources. Our San Francisco Bay Area chapter group will meet every month to network and learn from speakers. We meet offline at local events to build our local community, and use the Hardware Massive platform online to connect and share resources with other communities.